24K Edible Gold & 24K Gold for Cosmetics - CornucAupia Gold Leaf Manufacturing, Inc.
Make it irresistible, made in the USA. Our most popular and disruptive product. 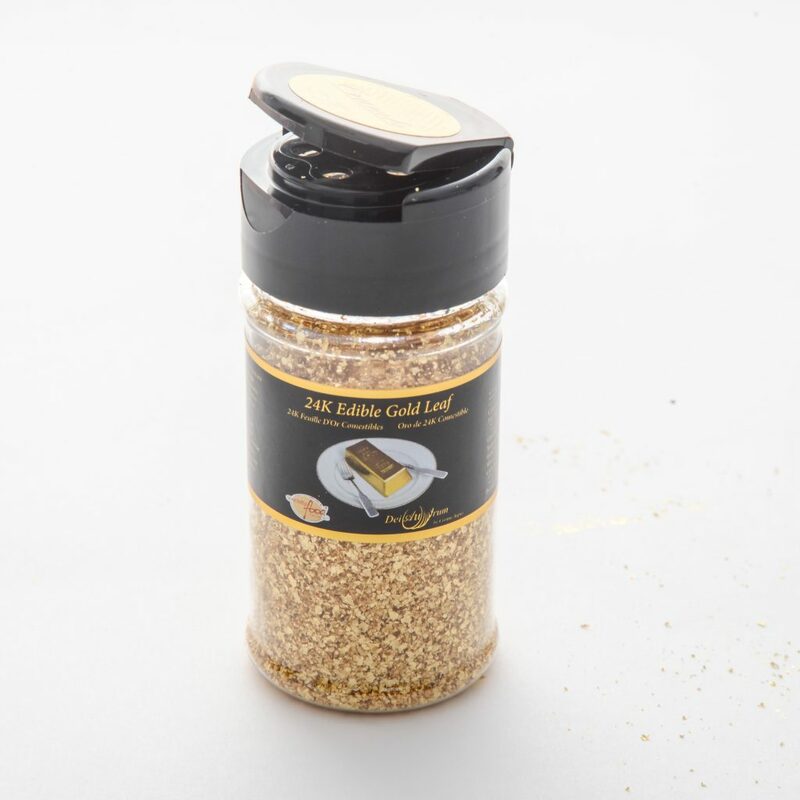 These pure 24 karat edible gold flakes can instantly and easily be applied to any food. CornuCaupia’s 24 karat edible gold flakes are served in over 1000 restaurants within the country. Use for any cooking, theme, and style you desire – Unforgettable dining experiences await. Salt, pepper, and gold. It doesn’t take much gold to capture one’s attention. 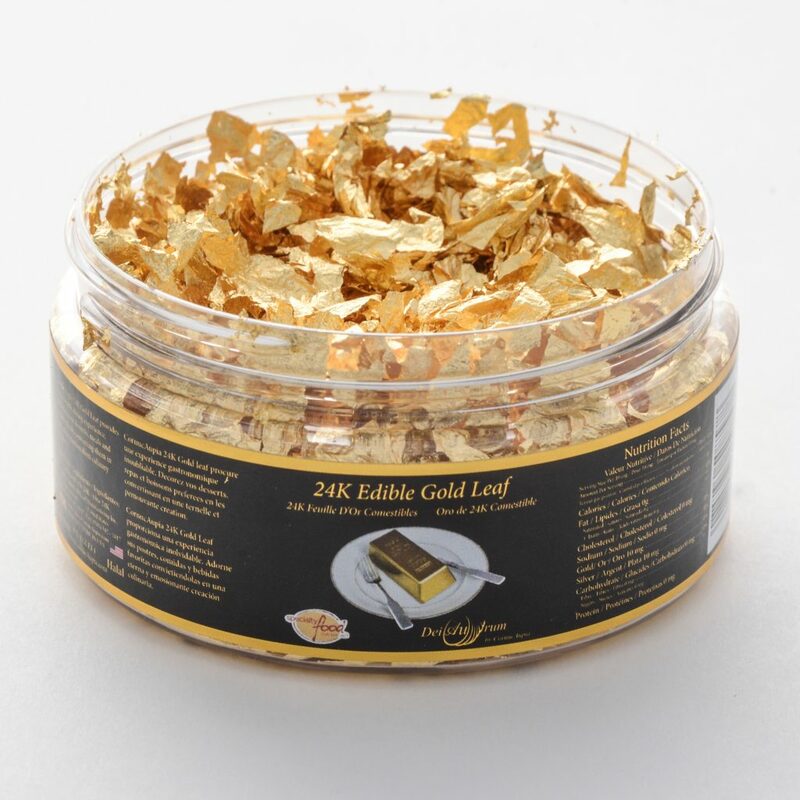 The luster from our pure 24 karat edible gold crumbs is very enticing. Use on any dishes or liquids that require 24 karat magic treatment. For those who want full control and unlimited creativity, our pure 24 karat edible gold booklet with loose leaf is your answer. Simply open the book and apply the gold sheets one by one. The edible gold sheets stick to all food surfaces. 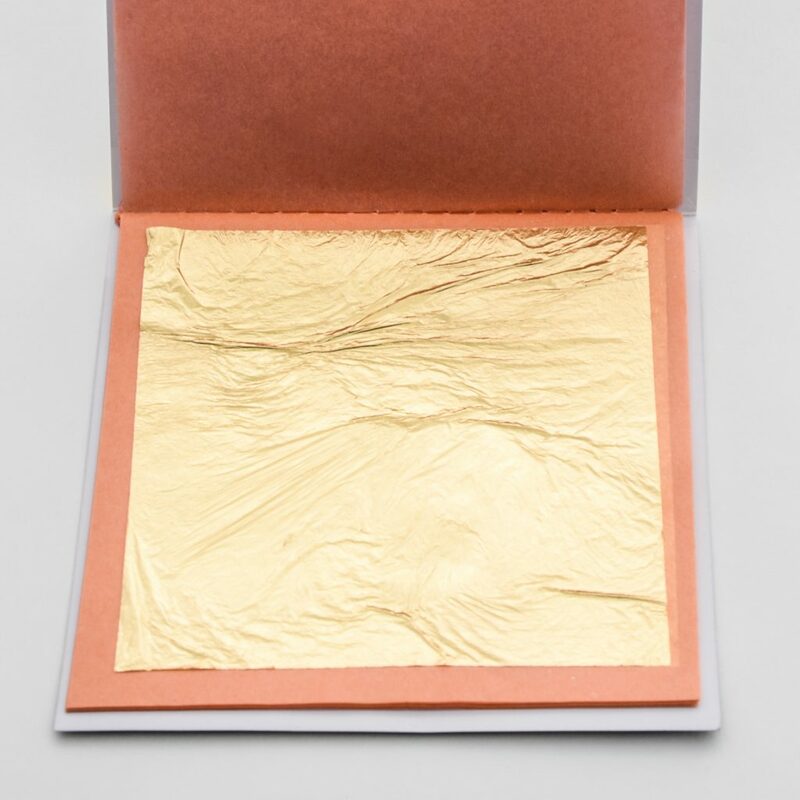 Apply pure 24 karat gold transfer sheets directly onto the surface of any baked good. 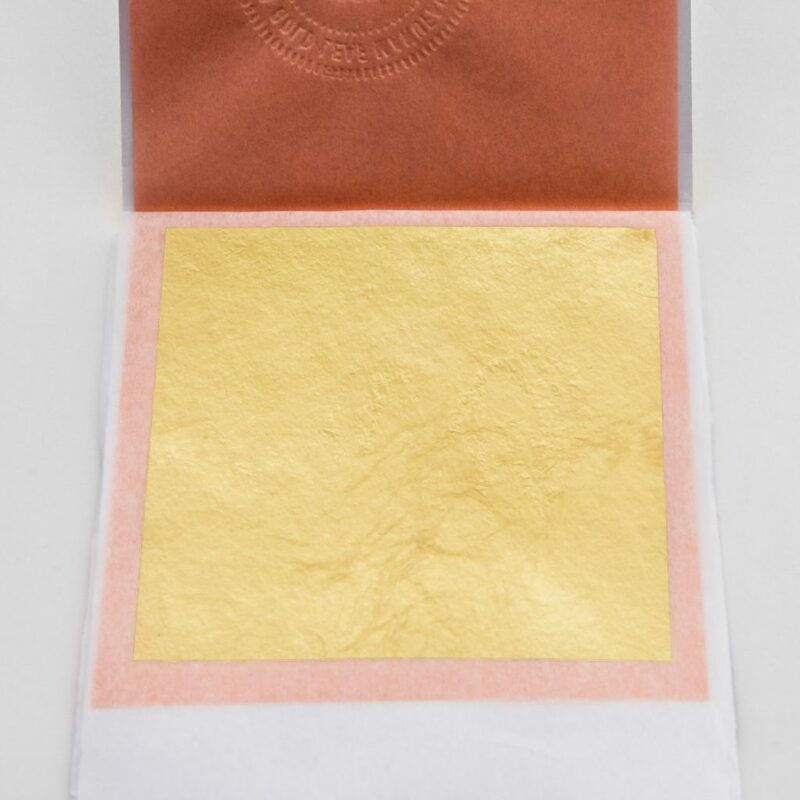 The gold sheets within this booklet come attached to parchment (transfer) paper – ready to be pressed onto the surfaces of your choice. See how you can disrupt your industry.